Britain's Scottish National Party leader Nicola Sturgeon said the results of the election were disappointing for her party but were disastrous for Prime Minister Theresa May. Nicola Sturgeon says after May's 'disastrous' election, there is a lot of uncertainty in Britain. London: Britain's Scottish National Party leader Nicola Sturgeon said the results of the election were disappointing for her party but were disastrous for Prime Minister Theresa May. 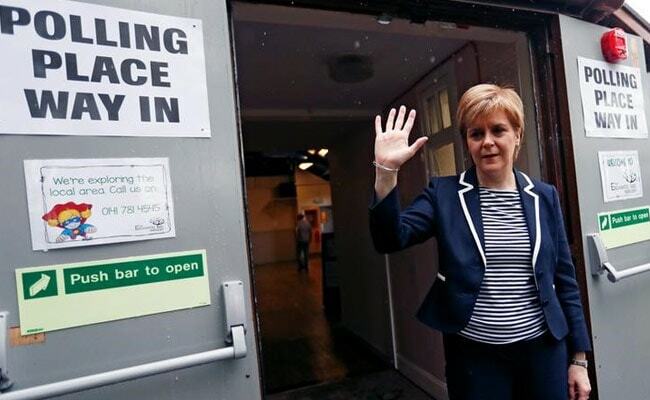 "Clearly it's a disappointing result, we've lost some tremendous MPs," Nicola Sturgeon said. "This is a disaster for Theresa May, she called an election clearly very arrogantly thinking that she was going to crush the opposition, sweep everybody aside and cruise to a landslide majority, her position is very, very difficult." Sturgeon she would think about her demands for a second Scottish independence referendum after her party lost seats to the Conservatives, Labour and Liberal Democrats, which all want to preserve the United Kingdom. "There is clearly uncertainty around Brexit and independence which clearly will be factor in tonight's results - you know a lot of thinking for the SNP to do," she said.